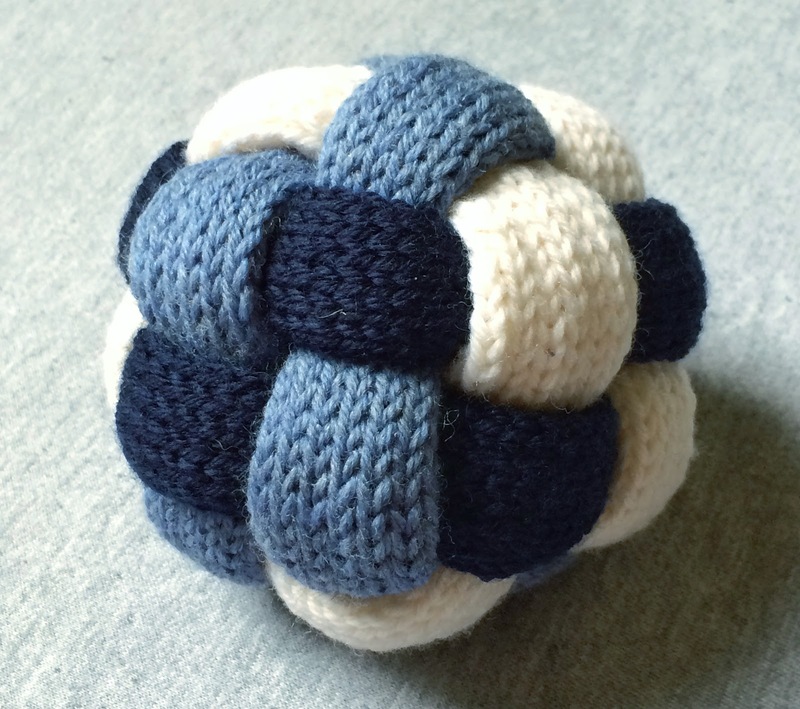 Some projects are a rite of passage into the world of knitting. This first struck me after finishing my Shalom Cardigan back in 2014. Not only was it my first hand knit sweater, it was also a very popular pattern with over 5000 projects listed on Ravelry. I have little doubt that if I wore my cardigan into a yarn shop, at least one person would recognize the pattern. I felt like a real part of the knitting community! A feeling of déjà vu crept over me as I finished one of my projects this summer. Endpaper Mitts is a wildly popular and very recognizable pattern. It serves as many knitters' first foray into colorwork because of its sophisticated but simple design, and it was actually one of the first patterns I attempted after joining Ravelry in 2013. My first try was a bit messy, and this yarn sat shelved until recently. Finally, I dashed out two new, tidier mitts in just a week. Then I made a hat (my own pattern) to use up most of the rest of the yarn. I finished the hat and mitts back in July, but it's just been way too hot to model them. It's finally starting to cool down and feel like autumn! I wonder if I'll wear these much. Fingerless mittens probably have a fairly short season of usefulness outdoors, and our house isn't quite chilly enough to need them inside. I'll have to wait and see if I'm a fingerless gloves type of girl! As always, details for the cardigan, mitts & hat, and ball are available on my Ravelry page.